Curb Appeal: If you spend more time fixing up the kitchen instead of basic exterior touch-ups, then you may have a problem impressing potential buyers. When house-hunters don’t feel welcomed by a home’s curb appeal, they won’t even waste time looking at its interior. Basic maintenance, like roof and exterior painting, are vital to any successful real estate venture. This is also why siding replacement is huge on the Cost vs. Value report. Space, Space And More Space: Additions are hot on the housing market! Buyers often look for spacious rooms to getaway and work on hobbies, like knitting, exercise or a home office. Moreover, every 1,000 square feet that’s added to a home boosts its price more than 30 percent. Adding a bathroom, family room or bedroom may be the best thing to attract attention and get the most out of reselling. Make Dreams Come True: More and more potential buyers request an in-home movie theater with impressive sound systems. This includes wiring speakers into walls, intricate cabinetry and even room soundproofing. Although it may be a large investment, an in-home movie theater hikes appeal on the market and compensates for a lot of the price at resale. 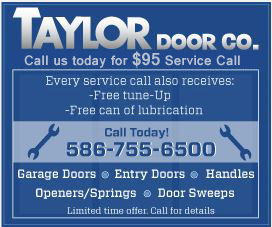 Taylor Door Co. is the best in the business for door service and replacement. Gain curb appeal with a custom-made front door, a new garage door or choose from top Michigan-made, Taylor products. Inspire yourself at our showroom of beautifully leaded, etched and sandblasted front doors. Our helpful crew is full of ideas to make your home look welcoming for any potential buyer. 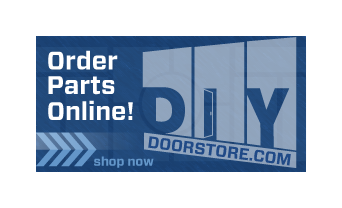 To set up your appointment with Taylor Door Co. call 1-800-NEW-DOORS today and see why We’re Locked on Quality!